Ashley worked in the television industry for many years before joining the teaching and research community in Bournemouth University’s Faculty of Media and Communications. He is a Fellow of the Royal Society of Arts and the Higher Education Academy and lectures in media production and theory. 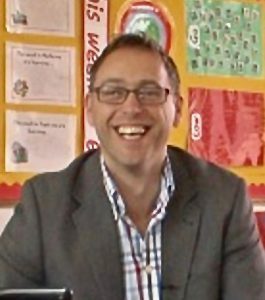 He holds a PhD with a children’s media focus, a MA in producing film and television, a PGCE in educational practice and his current research interests are around creative and child centred research methods. His learning and teaching activity spans undergraduate and postgraduate media production and theory, and he is Programme Leader of BA (Hons) Television Production and Head of Education and Professional Practice for the faculty’s Department of Media Production. His practice experience includes camera, producing and directing in factual, news, continuity, promos, commercials, entertainment and comedy; often with an interactive slant, and mostly within Children's TV. He is Co-convenor of the CMFs Academic Advisory Board.